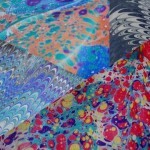 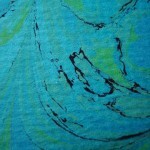 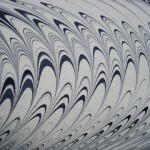 Light of Day can offer custom marbled papers for individuals with special projects. 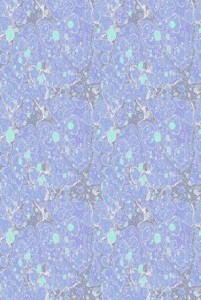 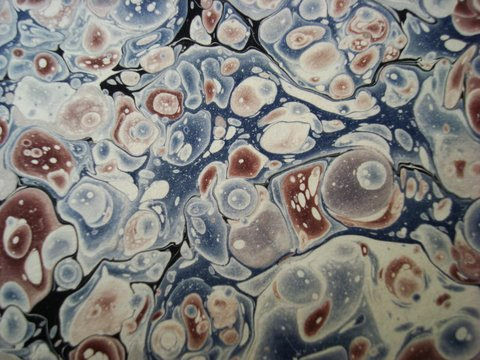 If an end paper is missing from a restoration project, a new piece can be marbled in the similar pattern and colors as those remaining in the book. 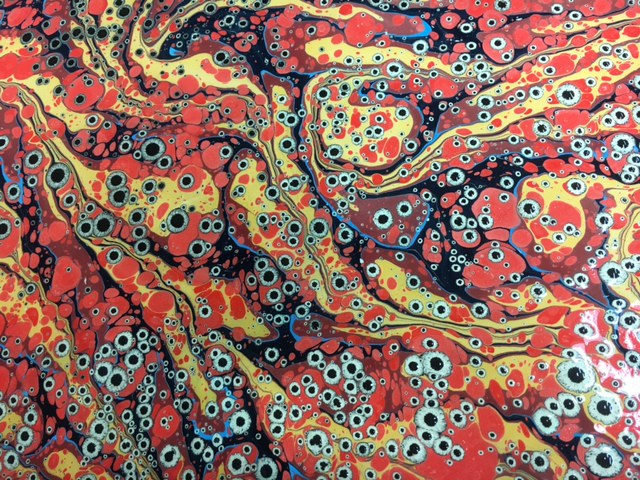 If a custom protective box is being made for the same project, these same marbled papers can be used to line the box, thereby integrating the book with the box. 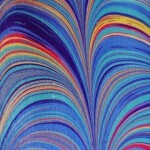 Customers producing a limited edition of books will want specific papers colored or patterned in a certain style. 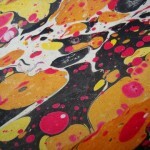 Light of Day will work with the customer to produce a run of paper for the project. 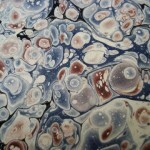 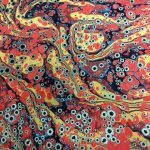 Students who are studying at the bindery will also learn to marble papers using acrylic and oil paints. 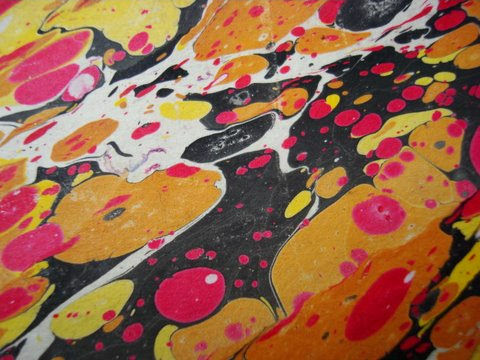 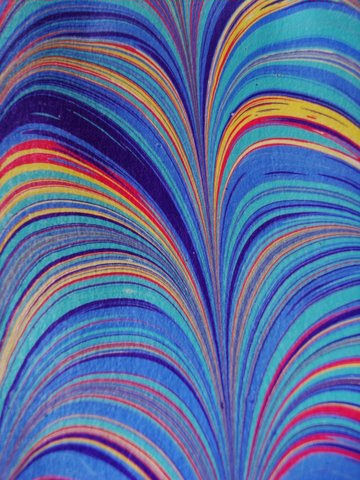 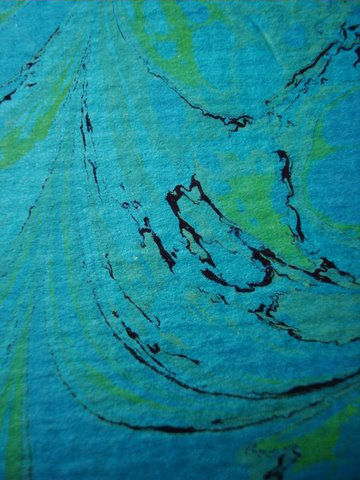 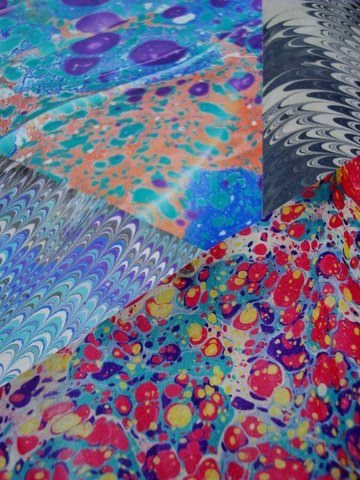 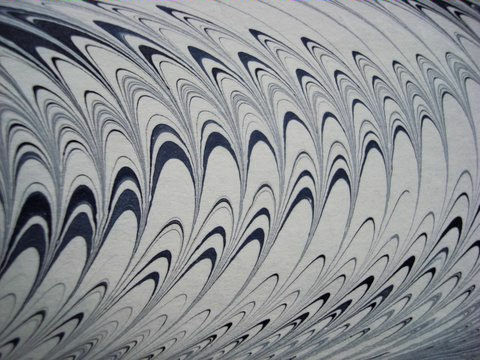 Depending on their level of interest, students are given the option to produce a portfolio of decorative papers including paste papers as well as marbled for use in their personal projects.